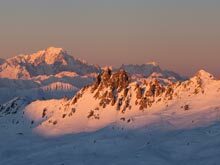 Hello Team, one of your favourite Meribel Private Ski Instructors here. Hey guess what? The Alps are getting colder, and there has been the odd snowfall already in the 3 Valleys ski area. Granted, it is still way too early to start predicting how great the early snow will be this winter, but it's really fun checking out the webcams and seeing the mountains white again. 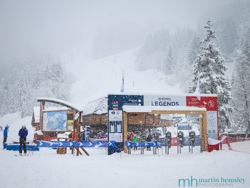 The first FIS World Cup ski races have already taken place. There are many things that I absolutely love about ski teaching, including meeting a big number of lovely people, but also having a lot of variety in work. Teaching complete beginners, and introducing them to this amazing sport, is very rewarding. 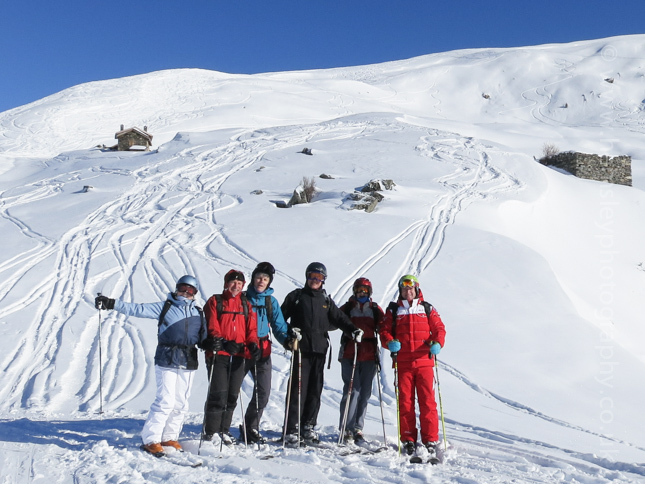 Helping intermediates gain confidence and develop their skills really opens up opportunities for skiers on their holiday. Even the odd mogul/bump lesson wakens up the senses and helps people realise you can learn to love the bumps and not fear them. And then there is going off-piste. For some people this is an area of skiing that they have no wish whatsoever to attempt. For others, it can be the ultimate goal to aim for. There is no denying that powder skiing is glamorous. 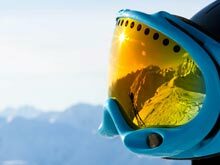 The ski industry thrives on this nirvana, with every year it seems a thousand new videos are released for the skiing masses to gawp over. These in turn go viral by receiving multiple likes, shares, follows, pins and whatever else social media phrases should be used. In fact, I'm certainly guilty of this pleasure as well. It's infectious for many people. It is very easy to get excited when viewing these videos, and the buzz continues if stood at the top of a powder field. However, it is exactly at this point when some critical decisions have to be made. One being, is it safe to ski down a certain pitch? 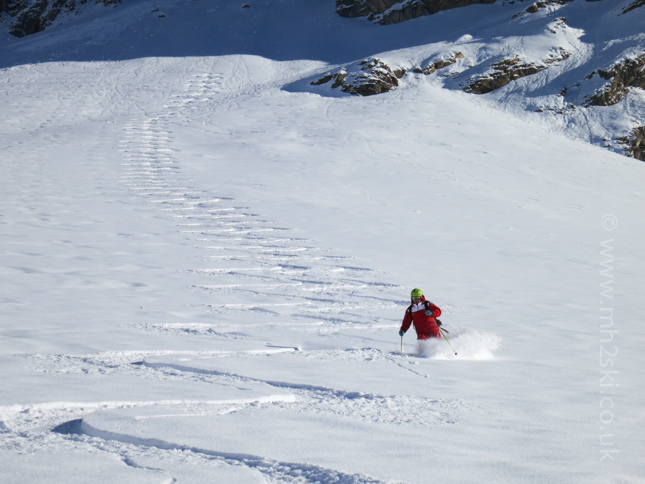 This is a subject I have written about before, and one I would recommend if you are a budding or keen off-piste skier, click here for the link. On some of these extreme videos there will be footage of avalanches, perhaps even with skiers getting caught in a slide, or out skiing them. Sounds dangerous doesn't it? And that is why when skiing off-piste you should be carrying some off-piste equipment which at a minimum includes a shovel, a probe and a transceiver/beep/beacon. Let me briefly explain what a transceiver is. 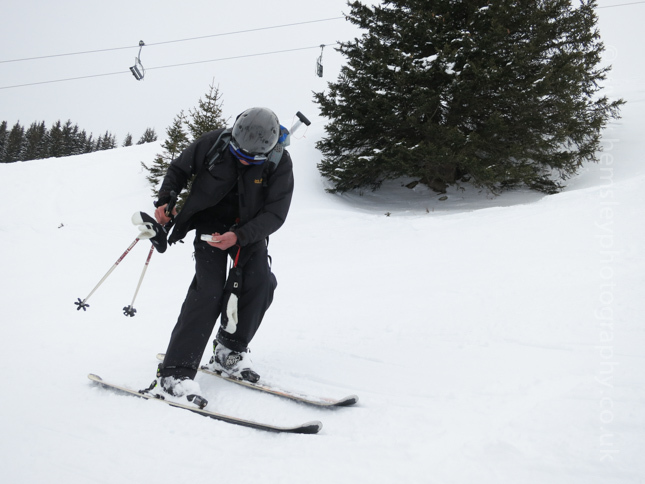 It is a device about the size of an iPhone (a little deeper in fact) that is attached to the skier's upper body. When switched on in the 'transmit' mode, it emits a low-power pulsed signal at a specific frequency of 457 kHz. 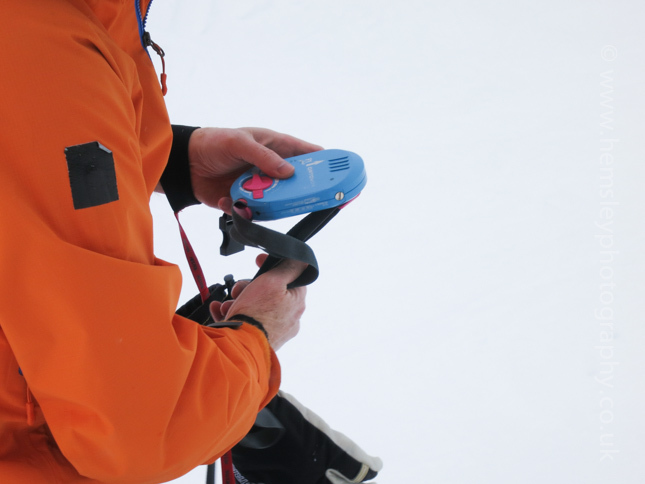 If a skier becomes buried in an avalanche, then survivng members of the group switch their transceivers over to 'receive' mode, which enables them to pick up the transmitted signal of the buried signal. This in turn helps the group to locate and hopefully rescue the buried skier. That's the theory side of things. But like any theory, practise is definitely required in order to be proficient. In January last winter I was asked to look after a couple of groups from the same crowd of holidaymakers organised by Tony. He kept calling them 'Squalor Tours', and to be honest I can't remember if this was their real name or not. However they were all great fun. One group were at the intermediate level, with the other at the early stage off-piste skiing level. We were able to find some good snow, however some of the time the weather changed our plans a few times with poor visibility. Perfect conditions in fact for some transceiver searching practice. Some of the members of the group had practised a little in the past with their transceivers, others were happy to have a introduction into using them. We spoke about the theory, and then out of sight of the group I buried a spare transceiver under the snow (simulating a buried skier), and allocated a person to conduct a search using their transceiver. The other members of the group were acting as observers. It was a really interesting exercise to have practised. Each person in the group had their own turn in conducting a search, which of course was excellent practise in itself. But we also found that for those observing at the side of the search site, they were also learning from other people's experience. In other words, noting how quick a transmitted signal was found, and then how quickly the 'searcher' was able to pin point the buried transceiver. I'm a very strong believer in off-piste skiers being proficient in search and rescue. I think this was an eye-opener for the group, and their feedback at the end of the week very much confirmed this. On a positive note, they felt more skilled and were better practised as a result of this essential training. 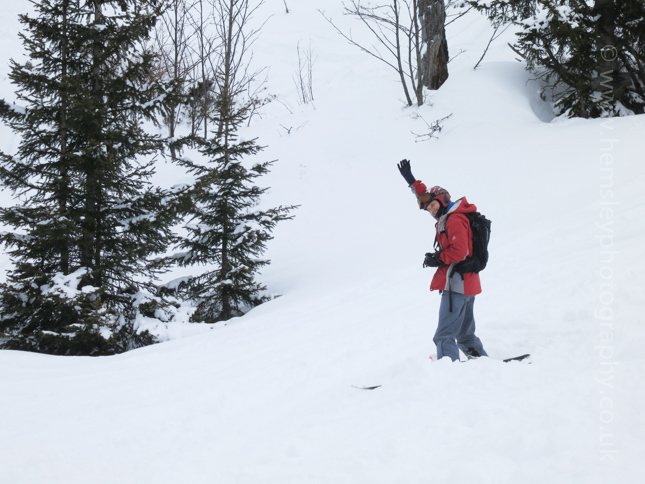 After all, if you are skiing off-piste with a bunch of friends and you get caught in an avalanche, wouldn't you want to know your friends are competent and skilful with the avalanche search routine? I certainly would! So without sounding too serious, I would urge all off-piste skiers to practise. 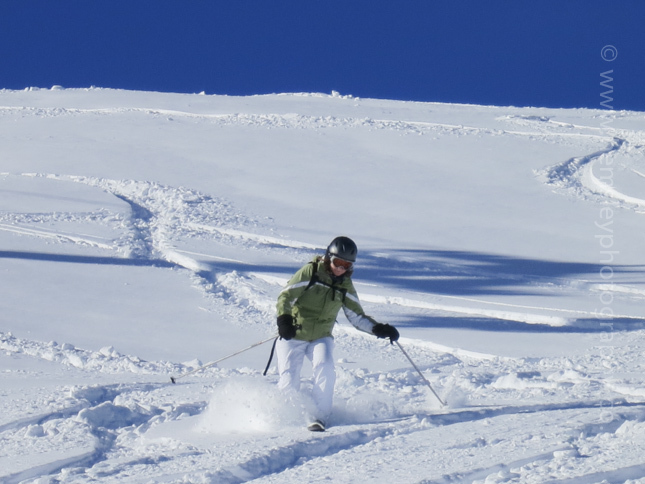 Ultimately, you really can't beat skiing down an open fresh powder field. 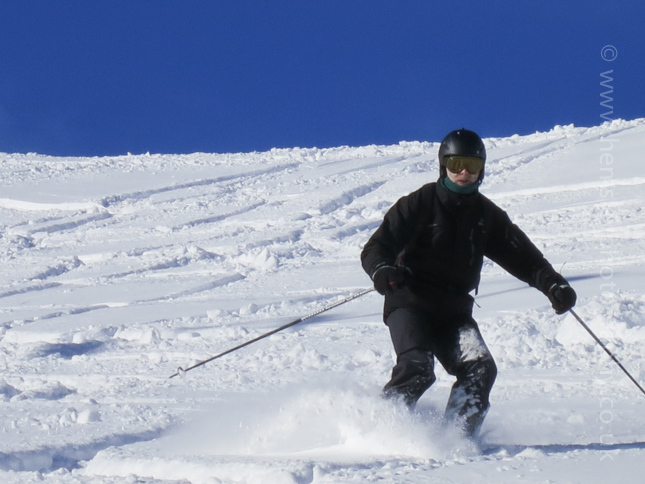 Here is a grabbed photo of me taken by a friend, fellow ski instructor Ian Saunders, from last winter. It was a fab ski that morning. Don't forget you can click on each thumbnail photo for a larger image. 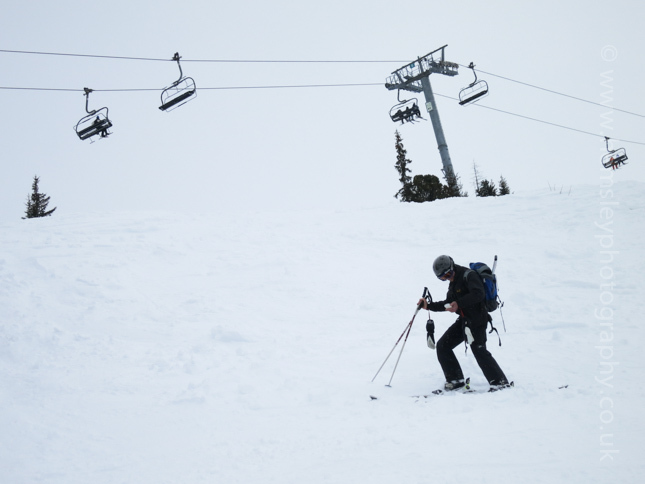 If you enjoyed this article, and are interested in on improving your skiing performance whatever your skiing level, click on this link for a blog post I wrote last winter. It has proven to be one of the most read articles on this website. Feel free to share away on Facebook, Twitter and Google+ by using the social media icons. Or leave a comment below, it's dead simple to do. In the meantime, keep up the fitness work, you are training for the winter aren't you? It starts in just a few weeks time. Martin.